Purple brings awareness to pancreatic cancer, Alzheimer’s and many other cancers and diseases. Wear this awareness shirt to show your support for the cause closest to your heart. 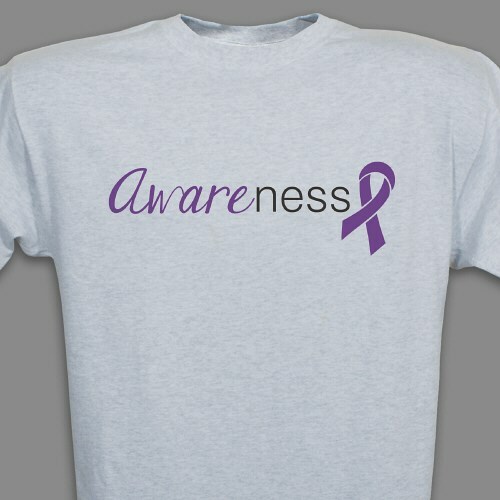 This purple awareness design is available on our premium, 100% cotton t-shirt. Our ash gray shirts are machine washable and available in youth sizes XS-L adult sizes S-3XL.